Are you considering hiring a wedding violinist to play for your wedding in England, Scotland or Wales? 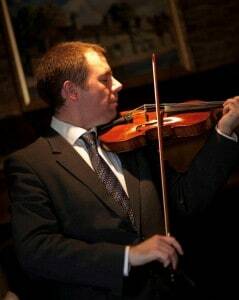 Welcome – I’m Simon Jordan, a highly experienced wedding violinist (a violin player specialising in weddings), providing a beautiful soundtrack for your ceremony, reception or meal. Stunningly performed solo violin music for your wedding, tailored to your tastes, that will create a lifetime of memories. Romantic yet sophisticated, intimate yet welcoming, solo violin music from Simon Jordan can your wedding special from the moment you walk down the aisle. Simon Jordan has many years of experience performing at receptions and ceremonies and is the only musician to allow you to choose the music he plays. The result is your music for your wedding, performed by an acclaimed solo wedding violinist who has played at London concert halls and across radio and television… the perfect musical accompaniment to your special day. 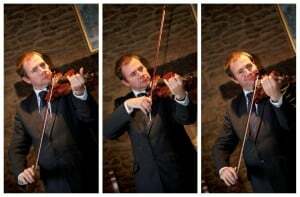 Simon Jordan has been a wedding violinist since 2010 and has played at hundreds of ceremonies, receptions and wedding breakfasts, big and small, from a guest list of 10 to 800. Lots of brides and grooms choose to book him because they like the personal service he offers as a wedding violinist, playing any song that they request him to perform, so it is your choice of music for your day. Simon’s unique musical background has greatly influenced his work as a wedding violinist – as a producer and performer on BBC Radio 2 and BBC Radio 3. His wide and varying repertoire and ability to play anything by ear means that he does not have to hire music and can therefore offer some of the cheapest prices around – far better value than booking through an agency. But Simon’s cheap rates and popularity mean that summer dates can be booked very quickly – so booking is now open to 2021. The Processional – Music of the bride’s choosing for her big entrance. This violinist’s music is 100% live so he can play the bride up the aisle without being stuck behind a PA system. Drinks Reception – Violin music you choose for your first few moments as a married couple. Conversation starters and entertainment for your wedding guests as you are away being photographed. Wedding Breakfast – Music to encourage conversation and entertain guests during the formal meal. Requests can very happily be taken. Simon Jordan can play anything and does not need backing tracks like other violinists do. Every note is performed live – a memorable performance of live music for your wedding, party or reception, performed by an incredibly versatile violinist. Be sure to listen to some of the music samples on this page and have all of your questions answered. Or book an appointment to hear your favourite music performed live on the violin. I’m also a highly experienced wedding pianist. Hi looking for wedding violinist. I am getting a marriage blessing at the Old St Pancras Church on 13 August at 5pm. I would’ve interested in having a violinist at the church instead of an organist.. I am coming out from SA with a small party of 10. I would require your services while we arrive and when I walk down the aisle. Are you available and how much would you charge? Just found your message. Are you still looking for a violinist? We are getting married at Northbrook Park, Hampshire on 23rd November 2018 and are very interested in a violinist to play for our ceremony. In particular, I would like the piece ‘Pure Imagination’ played as I walk down the aisle. If this is possible, please could you send me a quote and let me know what this includes? Thanks for making contact. I am free on 23 November and have played at Northbrook Park many times before. I will get an email to you with a quote today- please check your spam filter in case it appears there!